Just a couple of drawings done recently out of boredom. 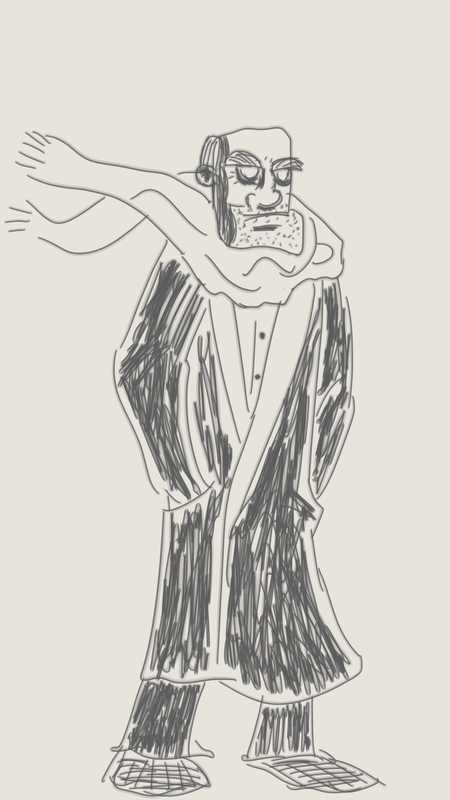 The first was inspired by someone I saw on TV, an old man in an overcoat and scarf. I made him bald because I was too lazy to draw hair. 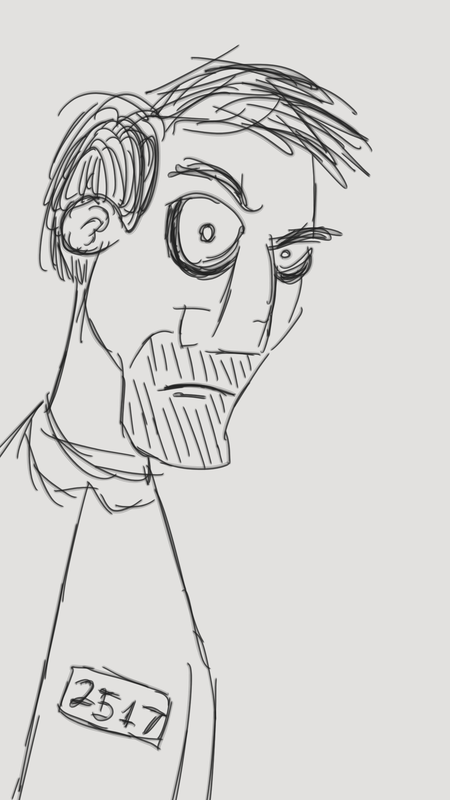 The second started out as a random portrait. I wanted to give him a little personality so I made him angry. Once the shirt was done, it looked a little too bare, so I added a number and turned him into a prisoner. Sorry, buddy. On the bright side, you could be out in a year with good behavior. Final version of last week’s drawing. 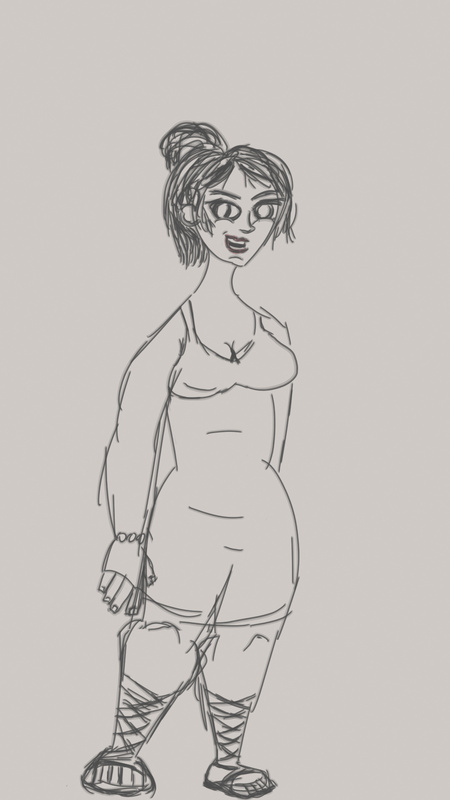 Just a random drawing I did a few days ago. I’ve never considered ‘beautiful’ and ‘skinny’ to be synonyms. 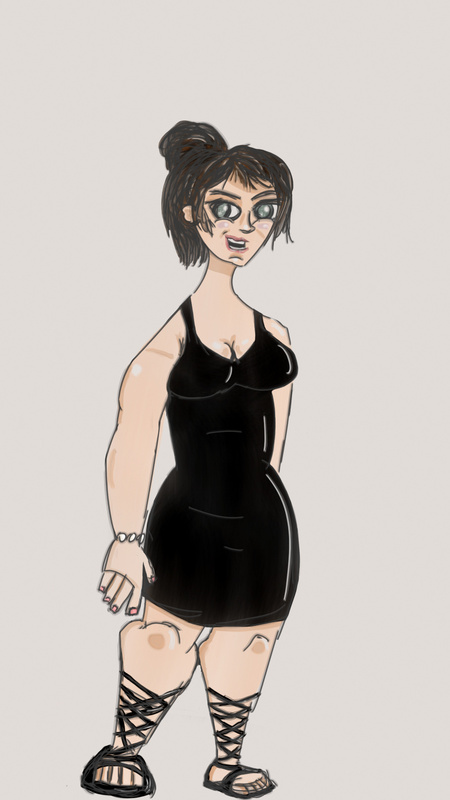 Also, the dress isn’t really black yet, but we’ll get to that.